Summer fun is bigger in Chicagoland. But summer storms are bigger here, too. Heavy wind, hail, and rain can do more than just ruin your summer plans. They have the potential to put you and your family into a financial bind. Snyder Insurance & Financial Services has been part of the greater Chicago community for over thirty-five years. So we know how important it is to review you policy well before storm damage happens, not after. It may not be the first thing you want do on a beautiful summer day, but now is the time to take a look at your homeowners’ insurance package. And, while you’re at it, review your auto insurance, too! What really is storm damage insurance? What does it include? What doesn’t it? Water damage from storms that have flooded sewers and drains -causing water to back up onto property or into homes- might be considered flood damage. But that will depend on the wording of your particular insurance policy. However, should high winds or falling debris cause damage that leads to water getting into your home (for example, shattered pipes), such storm damage often is not defined by insurance carriers as flooding. Regardless, if you’re unsure (or maybe only gave it a glance when you bought your policy), now is the time to see how your insurance carrier defines water damage from storms as well as flooding. Of course, no one wants storm damage to happen to their home or property no matter how comprehensive the coverage. 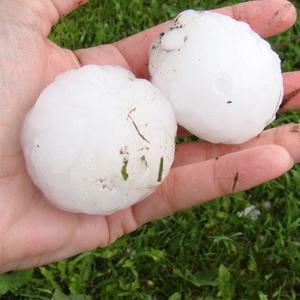 So here are some tips to help you prevent damage from storms in the first place. Expecting heavy, flood-producing rains? Sandbagging remains one of the most reliable ways of preventing storm damage due to rising water levels. And your home isn’t necessarily safe just because it isn’t inside an official flood zone. For example, if your property is on or near the base of a hill sandbagging can make the difference between minor and major damage due to rushing water or mud slides. Pooling water can often be as much a part of storm damage as high winds or hail. To prevent soggy conditions from creeping under doors or around windows, use rolled towels against the thresholds and seams. Better a little extra laundry than buckling floors or water-damaged window sills! Maintaining your house’s gutter system pays off big during storms. Gutters that are clogged with leaves, twigs, and other debris can overflow, causing water to seep under your roof, find weaknesses in your exterior walls, and damage your foundation. Storm damage in these instances isn’t always easy to detect. It can take weeks or months to show. So keep your gutter system well maintained. Investing in gutter guards can go a long way in reducing the time you have to spend on that maintenance, too. Making sure that valuables are kept high and dry will go a long way in preventing storm damage from happening to them. Simply making sure they are stored on higher shelves and well away from windows and exterior windows is an easy way to prevent damage in the first place. After the Storm, Then What? 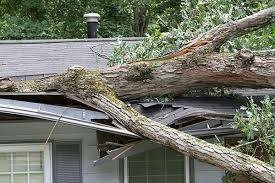 Damage from storms can be quick and obvious, or gradual and hidden. Following any heavy storm activity, you’ll want to walk your property and be on the lookout for any problems. Even though the bigger incidents of storm damage can and should capture your immediate attention, be sure you don’t ignore possible smaller hints of trouble to come. For example, look for torn shingles, seepage on the inside of basement walls, or damaged gutters. If you do see storm damage, be sure to thoroughly review your insurance policy before you file your claim. Doing so helps you understand your deductibles and ensure that your claim is thorough and to your best advantage. Still Unsure About What to Do? Call Snyder! It can be a little overwhelming, understanding what to do before and after storm damage. But you don’t have to figure it out alone. Snyder Insurance & Financial Services has been a part of the Chicago area community for over 35 years. So call Snyder at (630) 960-4848 or use our website contact page. We’re proud to be a top rated, comprehensive independent Illinois insurer serving the needs of homeowners, renters, and business owners with excellence and caring. We look forward to serving you, too!